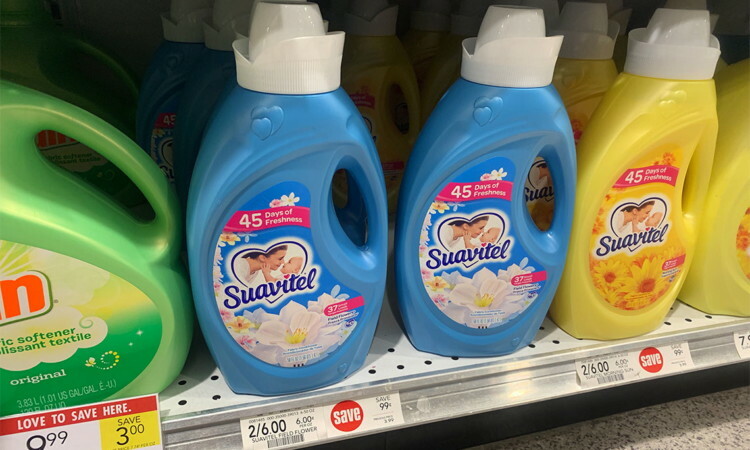 Suavitel Fabric Softener, Only $2.00 at Publix! Suavitel Fabric Softener is on sale for $3.00 at Publix, regularly $3.99. Use a new Publix store coupon to pay just $2.00 per bottle! Look for the Publix coupon in the Health & Beauty Advantage Buy Flyer found on a circular display near the front of any Publix store or at the customer service desk. The post Suavitel Fabric Softener, Only $2.00 at Publix! appeared first on The Krazy Coupon Lady.